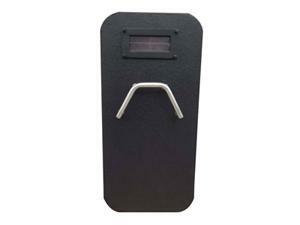 The bulletproof shield is typically made from PE or Aramid fabric or a composition of PE fabric with a ceramic plate. It is the ideal choice as armor protection for police in anti-terrorism missions, riot situations or other high-risk ballistic threat environments. Made using advanced technology and high-quality materials, our bulletproof shield features reliable performance and excellent quality. It is hand-held and lightweight, and cost-effective. Customized dimensions are available. 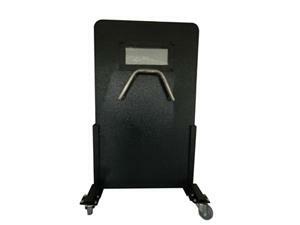 Portable Bulletproof Shield (PBS-D2)This bulletproof shield is 23mm thick, which can resist the attack of most bullets. Unlike body armors, the hitting impact of bullets will not pass on to the user, which makes the shield a favorite of soldiers and officers. 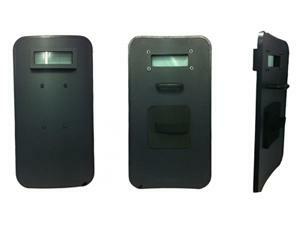 Portable Bulletproof Shield (PBS-S3)This bulletproof shield can provide a large area of ballistic protection. It is remarkable when you need higher level bulletproof protection compared to body armor. 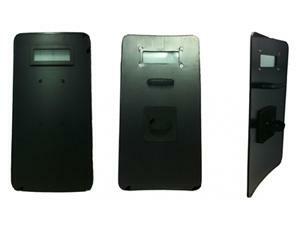 Armorus is a specialized bulletproof shield supplier based in China. Our company provides a comprehensive range of products, including a bulletproof masks, covert bulletproof vests, PE ballistic plates, anti-riot helmets, PE bulletproof helmets, bomb disposal suits, and others.